Tri-Star is a local HVAC & plumbing company from Savannah, Georgia, with many years of professional experience. 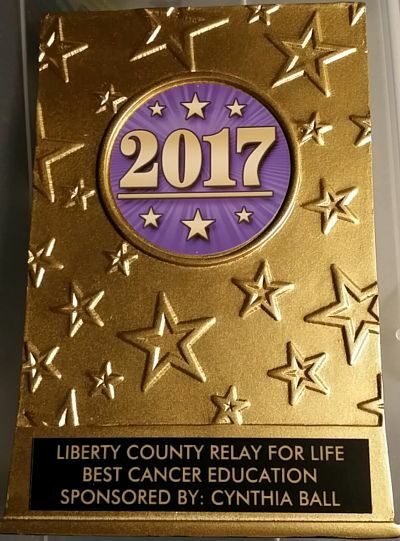 Within our local campaign whose mission is to promote various non-profit and non-governmental organizations, we decided to contact the Victory Haven organization. It is a non-profit cancer support organization with the mission to help others to regain their health. As we admire their work, we wanted to hear about their biggest problems and challenges and see if maybe we could help. So, if you’d like to support the organization financially or any other way, we’d be very grateful. Keep reading, and you’ll find the contact information at the end. 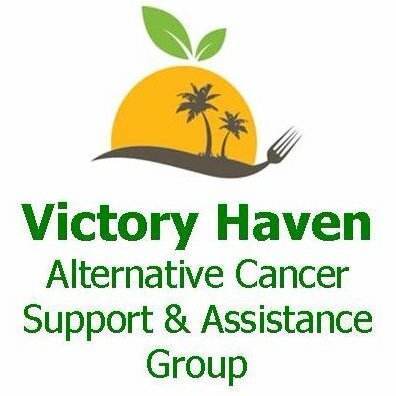 Victory Haven is a non-profit alternative cancer support & assistance organization that started in 2010. 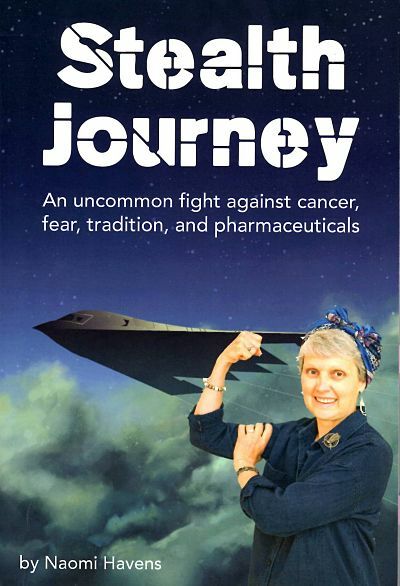 I, Naomi Havens, co-founder & CEO, am a 17 year breast cancer survivor who chose NOT to have chemo or radiation, even when the doctors told her she would be dead within 5 years without those treatments. I knew I needed to do something aggressive to heal my body, so began researching what needed to be done. That research taught us what cancer really is … an immune system that has gone off line. It also taught us the extremely important role that nutrition & lifestyle play in health & healing. I’m now 12 years past the prediction of of the doctors & CANCER FREE! There is NO support in this area for people wanting to go outside-the-box to heal themselves. It’s been an extremely lonely & stressful journey for me to take this journey alone. My husband & daughter were supportive, but I needed more support. In 2010 I felt God calling me to be His hands, feet & mouth for a new non-profit, Victory Haven, to fill this void. We now offer a weekly wellness group for people on all health journeys, not just cancer; we’ve seen amazing transformations in attendees! We also speak to organizations & groups, as well as set up our dispaly at area festivals & events. Eventually, we hope to be able to financially help people pursuing natural therapies for their healing, but for now we help them sift through the maze of information that can be so confusing, as well as give the moral support that is still lacking in this area. What motivates us is the healing and positive changes we see in the people we talk to and help. One example is a 70-something year old man who was pre-diabetic three years ago, but is no longer diabetic! Last year, this same man was on the list for a new kidney; we’ve helped him heal his kidney & he’s no longer on the transplant list! In fact, he is now off ALL medications for blood pressure & more! Waking people up to get them thinking about the long-term affects of what they are putting in their bodies for food rather than the short-term satisfaction of the discomfort that comes every couple hours that we call hunger, and hearing the positive changes and affects they share with us is so satifying and motivational. Too many Americans are malnourished but look very well nourished, which contributes to diseases and premature deaths. Naomi’s other motivation is to live a long high quality life so I can enjoy my husband, daughter, son-in-law & two grandkids. 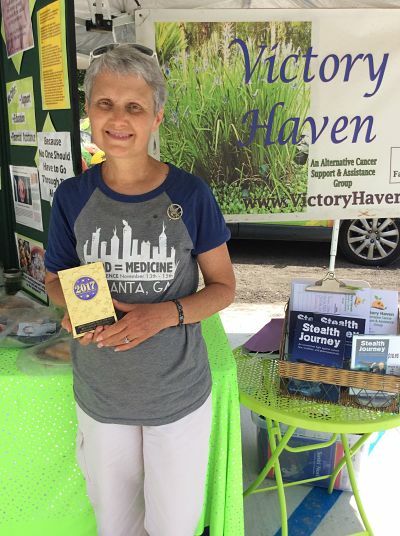 Helping others to regain their health using God’s FARMacy. Eventually to be able to financially help people pursuing a natural healing journey, as insurance does not cover these viable options. We currently have 4 people who could use financial assistance, but are unable to offer that. One person is in need of a Lift Van. Isolation, bullying (adults are the worst), funding. 1) Being CANCER FREE way past the prediction of the doctors. 2) Seeing the healing and positive changes in people who take responsibility for their bodies and health and make the changes we suggest, then share with us how they’ve regained their health & are sharing with others what they’ve learned & experienced. 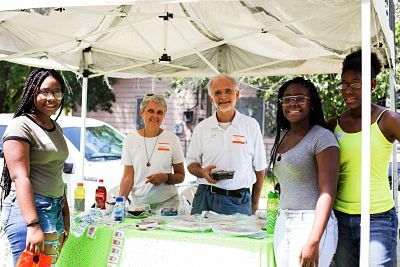 There is NO other group in the Savannah area offering the answers and weekly support we offer. Why Me – With Knowledge Comes Responsibility to SHARE that knowledge. If we hide it, we could end up in the belly of a whale, just like Jonah in the Bible did. We prefer not to end up like Jonah. When you’ve had the healing experiences we’ve had & helped bring about, you cannot be silent! 1) Our weekly wellness group meets every Monday evening. 2) Saturday, 28 Oct Naomi will be at the Tybee pier for the Fitness Fest. 3) We are always looking for opportunities to share! Seeing the joy that comes to people who regain their health when they make the changes that matter. THANK YOU Tri-Star for offering to help organizations like our’s to get the word out!